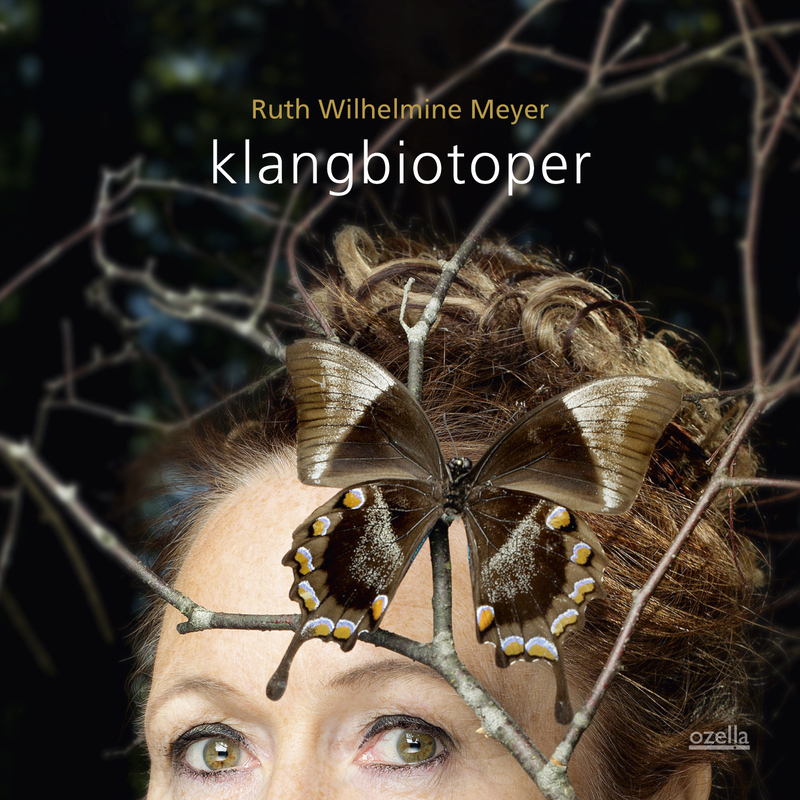 This seems to be second project that Norwegian singer Ruth Wilhelmine Meyer recorded under her own name. But here it doesn’t really count, as even if not a debut or whatever one wish to call it, it is not the music you usually come across. She has been always involved in lots of projects of different sort and with her very unique vocal approach and 5 octave range voice available as one can imagine. Her name stands out enough to not easy be forgotten. Therefore, I remember her from her collaborations with another brilliant singer, her compatriot: Agnes Buen Garnås as well as from long time collaboration with an Ethnic formation AKKU. More recent is her phenomenal project in Duo with pianist Helge Lien called “Memnon: Sound portraits of Ibsen characters”, from some few years back, also issued by Ozella. Let’s drop the titles then as they got no meaning to me and sunk into the music. From the first touch it brings performance one might expect from Meredith Monk for example, for its theatrical connections clearly audible here as a part of the expression. On the other hands an organic and natural recount to the Nordic folklore are bringing associations with artists like Lena Willemark or Mari Boine. Also, many performing artists might be quoted, just as easy as Mongolian throat singers to give just one completely opposite example. In fact, the type of folk doesn’t matter that much here like its clear reference to primary philosophic systems practised by native cultures inhabiting various areas of our planet. With their respect to The Mother Earth as a feeding power. Some basic instinct we surely lost in our civilisation climb. The simplicity and organic nature of the human voice is matched here with equal virtuosity by matching quartet of musicians which are also extraordinary. First is very well known to me percussionist Terje Isungset. Drumming can not possibly be done in more essential and basic manner like he does. Known for his multiple projects with use for sound making almost everything, from archaeological remains to stones, ice and trees. He simply sounds here as natural as sound of the nature, never touched by the human hands. But this is his trademark. Nobody fits better here. If I would think of replacement possibly Paul Wirkus only might feel that fragile balance they created here. Saxophonist Grzech Piotrowski represents exactly the same mental set up as Isungset. He is well known for his World Orchestra project which refers to the basic definition of sound and intuitive communication with music and via music. His instrumental approach as well as the music written for the symphonic format keeps exploring the same basic simplicity and refers rather to our inner senses than to any sort of intellectual recognition. The tuba player Lars Andreas Haug is one of the former members of the AKKU trio, so he works with Meyer over two decades now. Eight years back also Piotrowski became a solid member of this unique formation which is now quintet, so as you can see there is a lot of connections and the names are not picked randomly. Haug’s playing here reminds me what French virtuoso Michel Godard does, but it shouldn’t be any surprise given the fact that both gents are exploring similar plots. This music has to be heard and felled. You will actually feel it with your entire arsenal of senses, not just hearing and it’ll touch you deeply. You won’t be the same anymore after. So, won’t be your judgement of the world as it became with our greediness and lack of common sense. I hope that this message will sink deeper and we start questioning ourselves as human and spiritual beings. So far, there is no planet B.